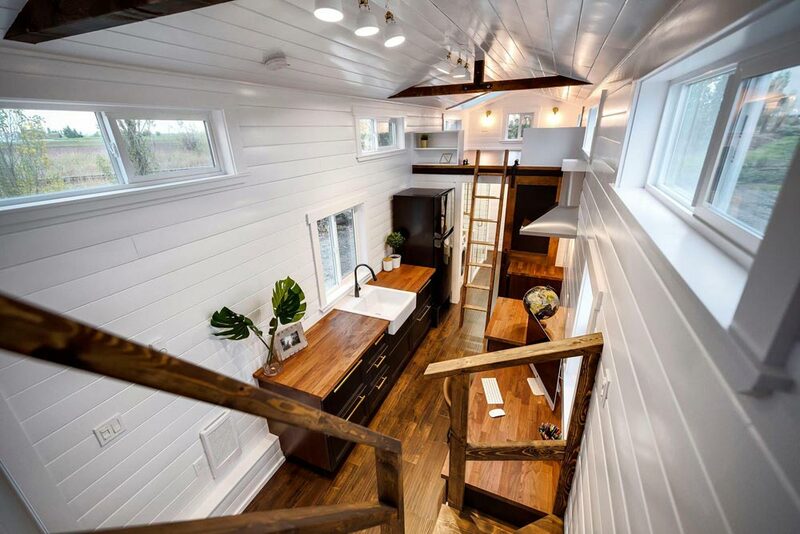 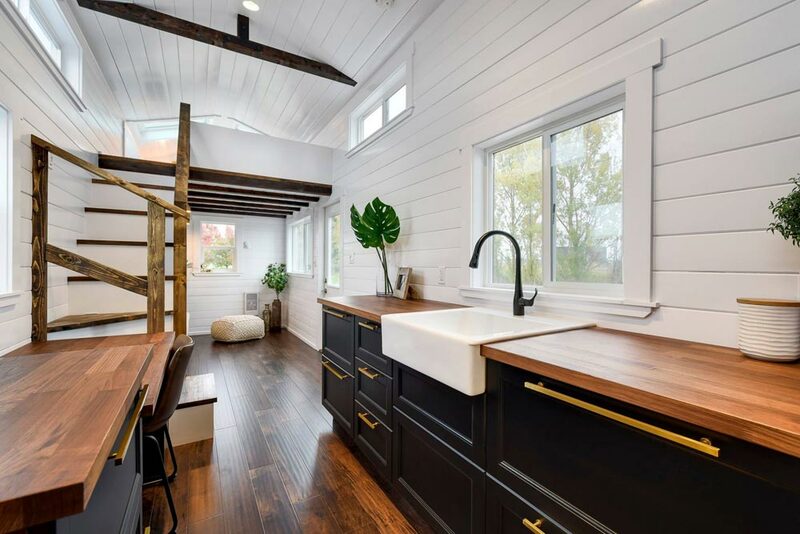 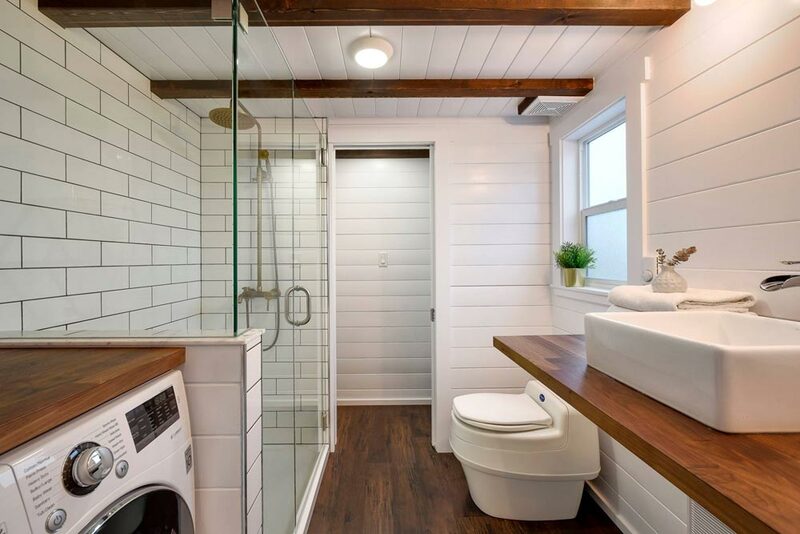 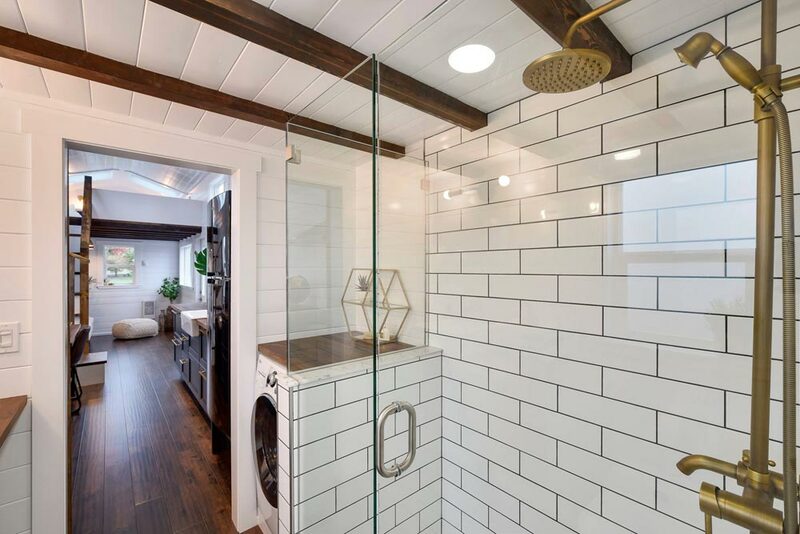 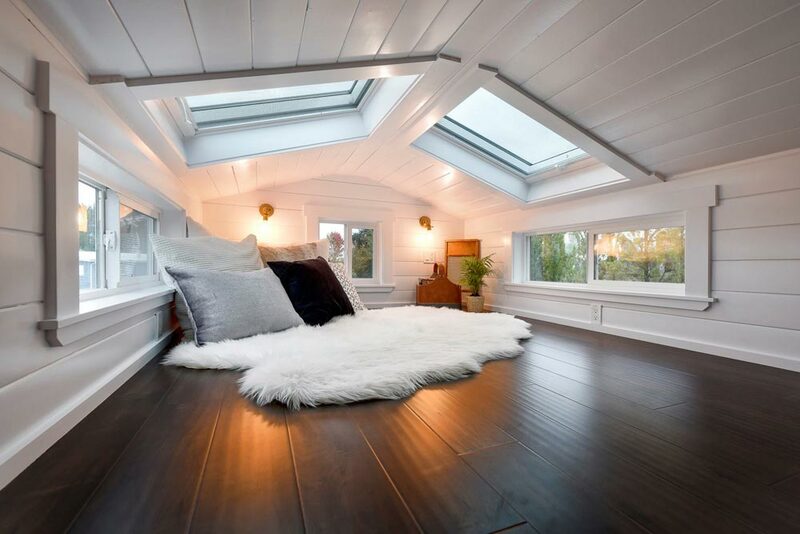 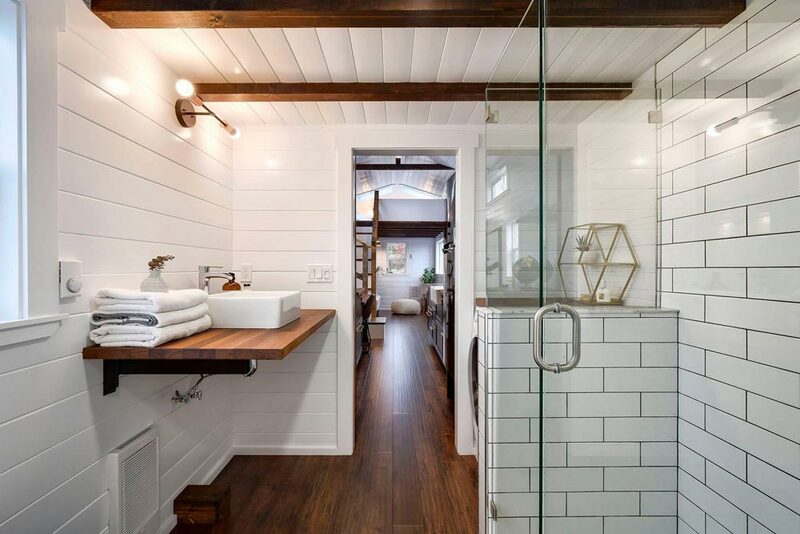 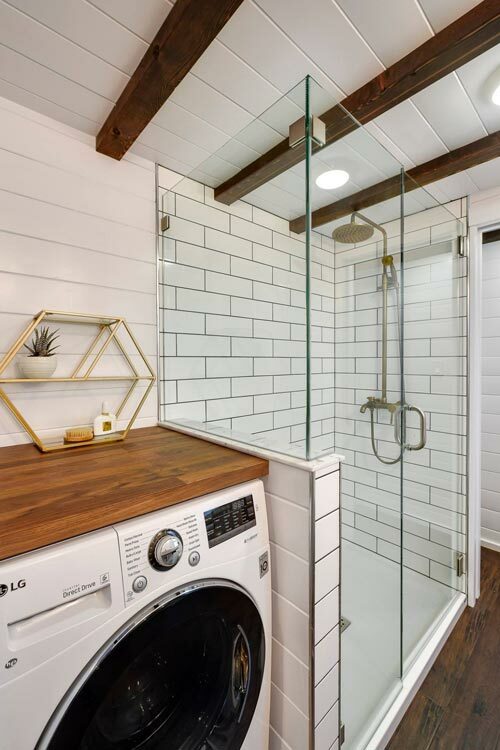 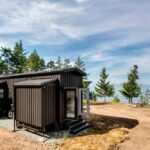 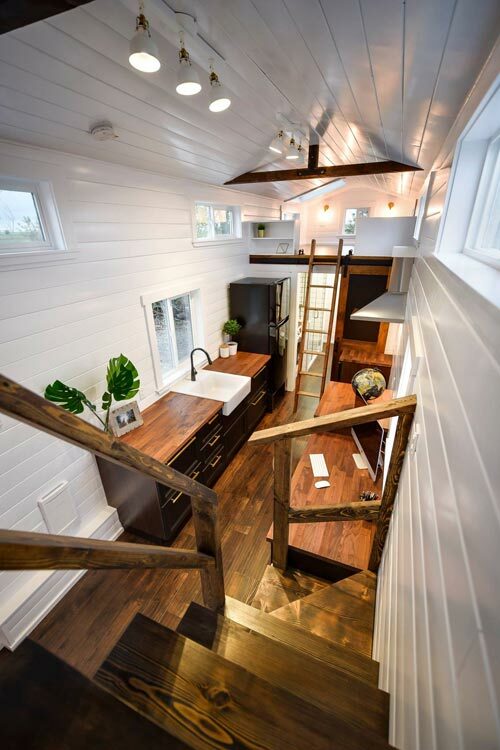 From British Columbia-based Mint Tiny Homes is a custom 34′ Loft Edition with dark cabinetry and gold hardware. 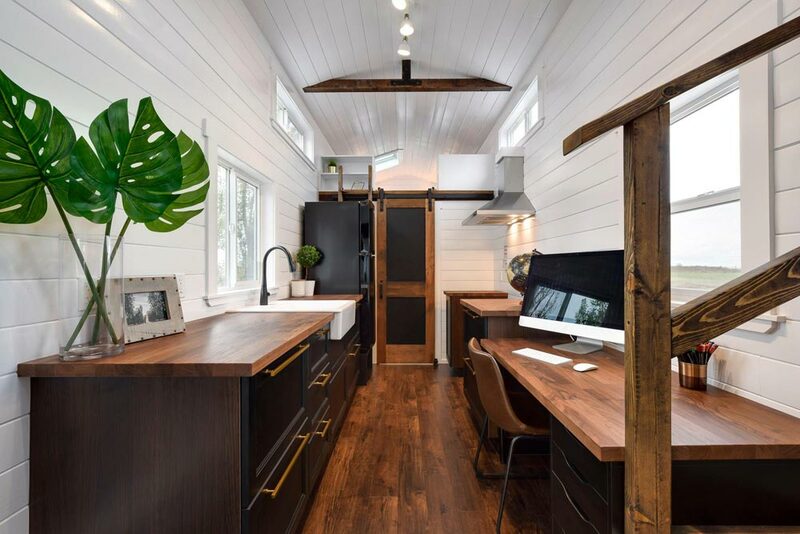 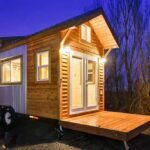 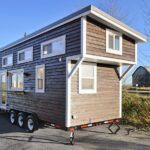 The tiny house sits on a triple axle trailer and is finished with dark stained siding and white trim. 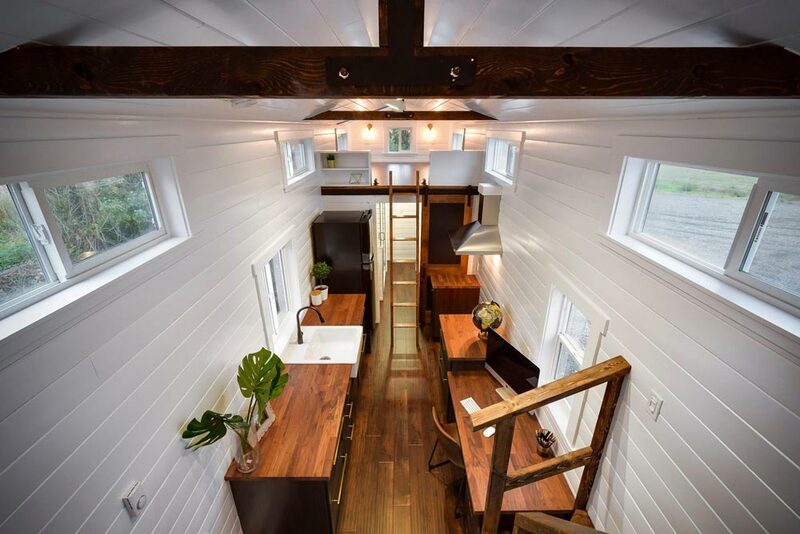 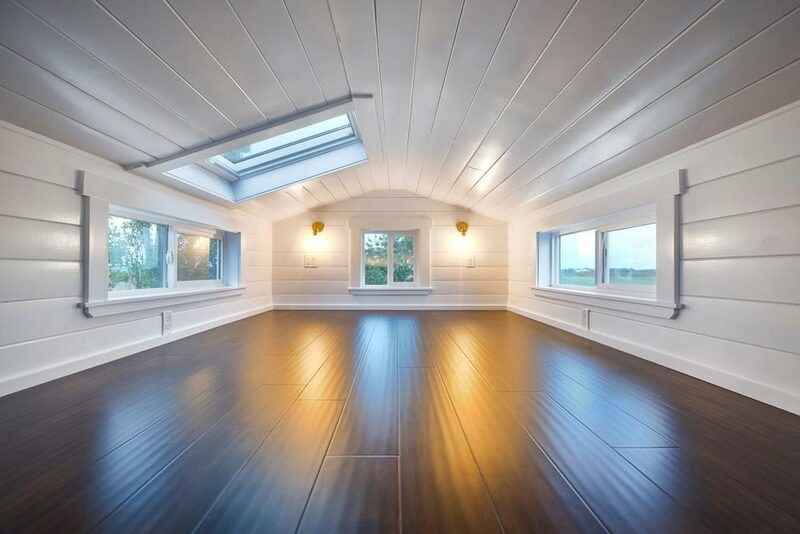 Inside, the custom tiny has glossy white walls with dark flooring and trim. 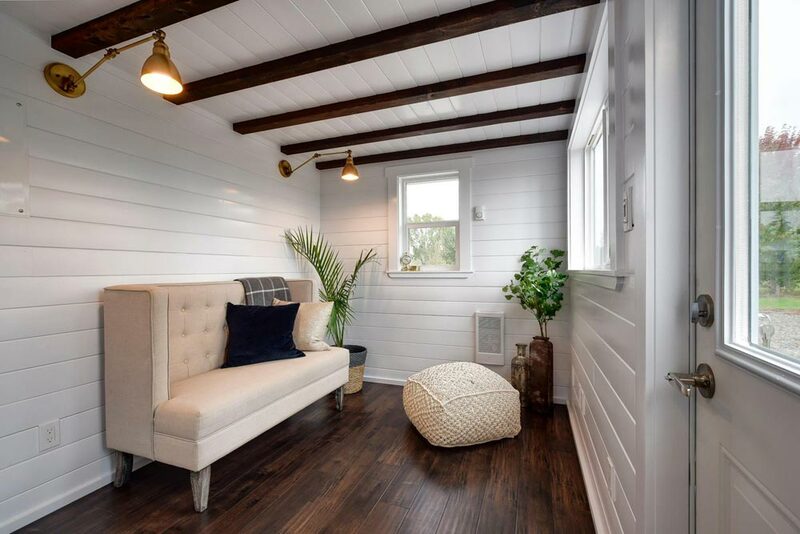 Exposed beams and gold wall sconces add a classy finish to the living room. 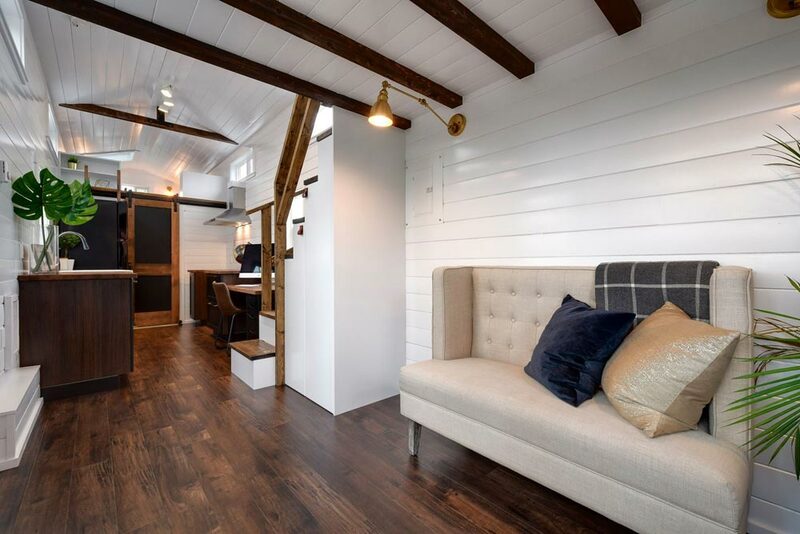 Next to the living room is the storage staircase that leads up to one of the two bedroom lofts. 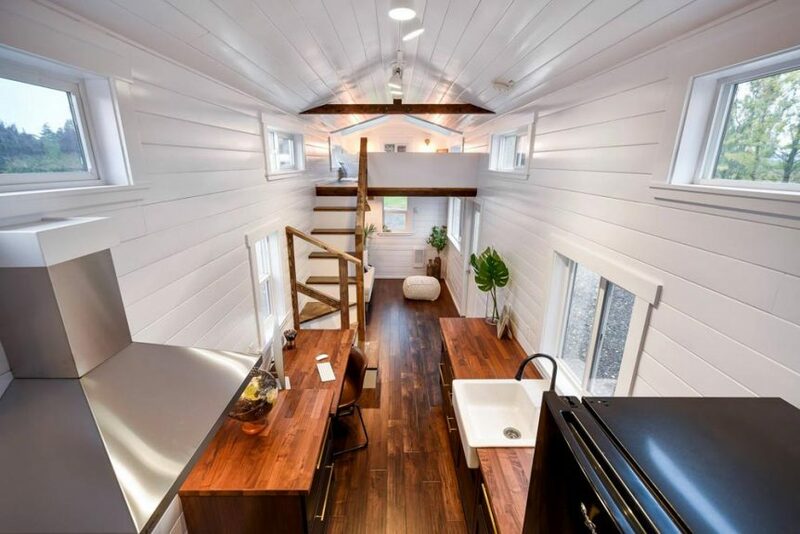 The other loft is access by a ladder. 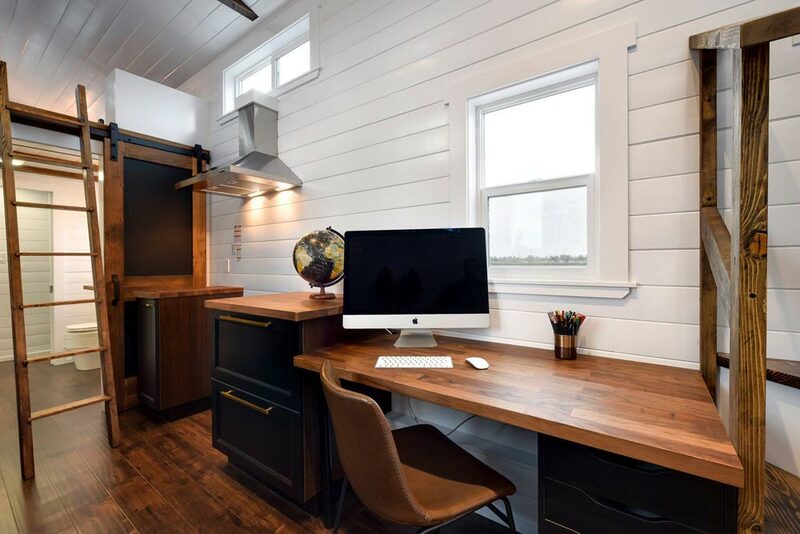 A large desk set up in front of a window provides a nice office space for those looking to work from home. 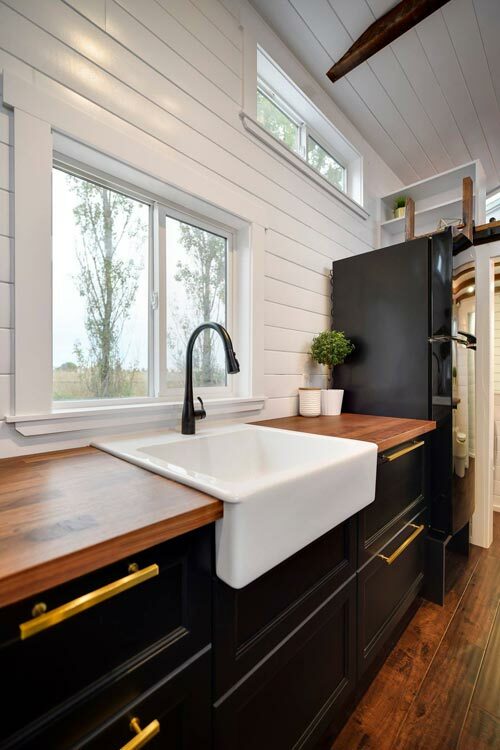 The kitchen features a ceramic apron sink, dark cabinetry, and gold hardware. 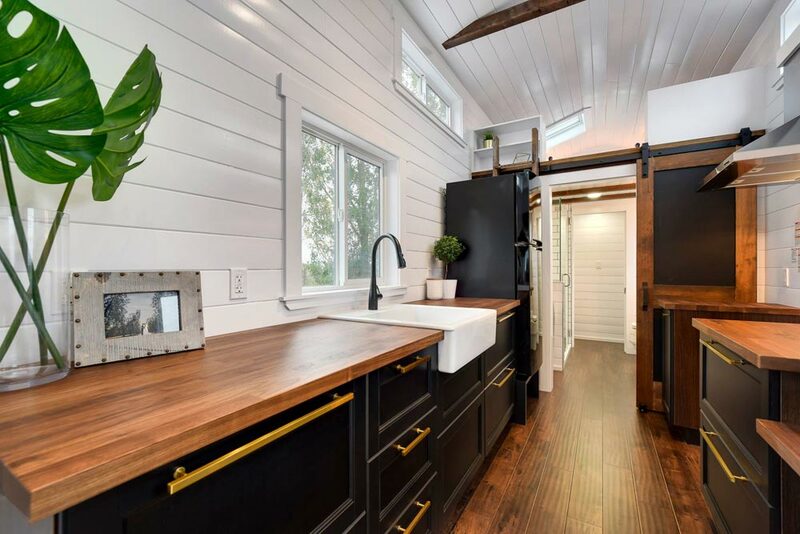 A full-size black refrigerator and a 30″ propane range are included as well. 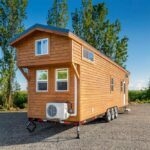 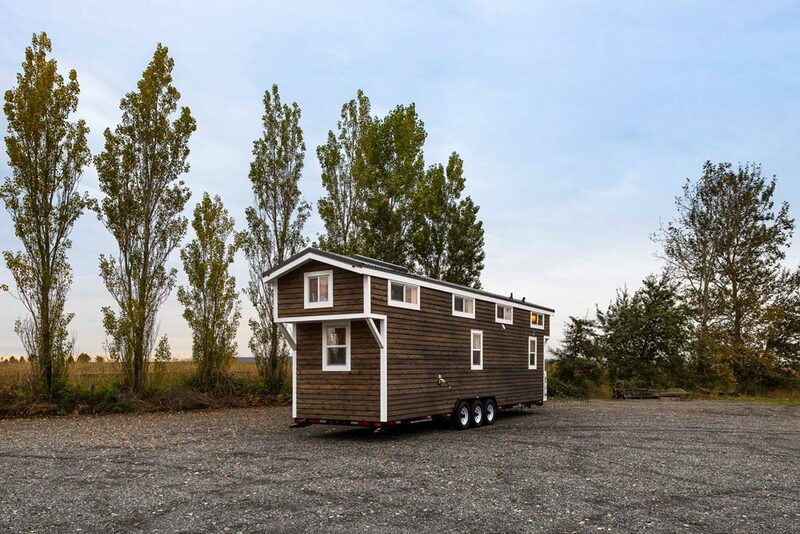 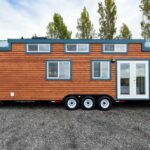 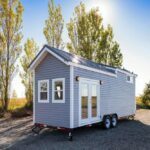 Also available from Mint Tiny Homes: Double Slide-Outs, Mint Loft #7, 26' Custom Napa Edition, Custom 34' Loft Edition, Custom 30', Custom 34', Custom Tiny, Custom Tiny #4, Custom Tiny House, Cabin in the Woods, Poco Edition, Loft Edition, Napa Edition, Amalfi Edition.